During the marketing process, Jinghong sees a huge potential for satellite TV service providers in providing Internet service. The satellite TV providers has a coaxial distribution network, which allows Internet services with DOCSIS technology applicable. 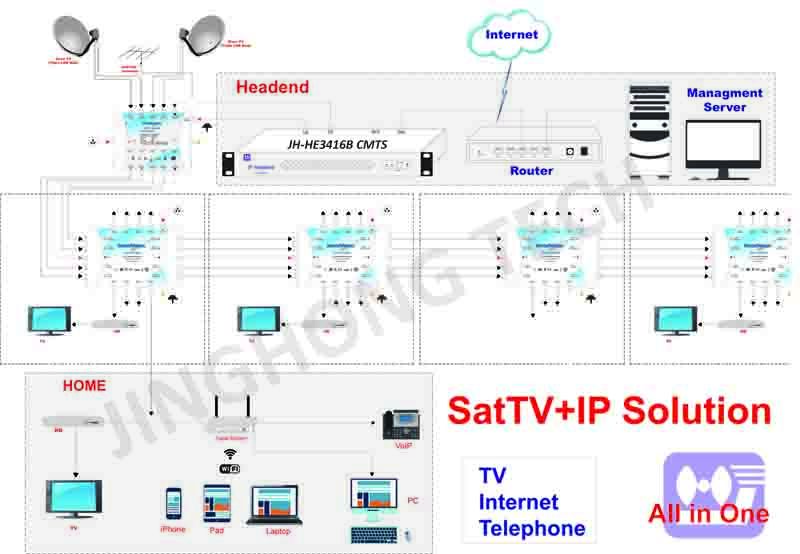 The solution of Internet over Satellite TV network from Jinghong requires very limited investment both in time and in harware, simply by adding headend equipment and DOCSIS cable modems at users end, it is highly practical to bring extra value to existed coax network. Contact Jinghong's engineer to know how and how much now.